Dean Karnazes, representing The North Face, will pound out 199 miles solo in support of 100,000 Americans waiting for organ donors. 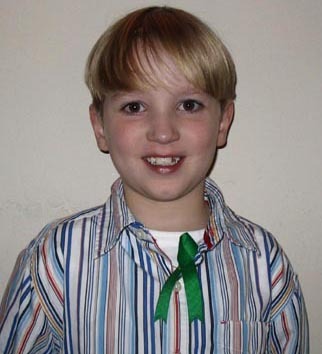 Dean will dedicate his run to Shawn Stockwell who received a new heart on July 31, 2008. SAN FRANCISCO, CA March 1, 2009 - During The Relay on May 2-3, 2009, up to 3,000 runners will start from the Calistoga Beverage Company in scenic Napa Valley and travel 199 miles on teams of 12 to the Beach Boardwalk in Santa Cruz promoting the need for donated organs through Organs 'R' Us. The transfer of the baton from runner to runner symbolizes the transfer of an organ from donor to recipient. In the long run, one man can be a team. For most, the 199-mile Relay is a shared experience with 12-member teams running 36 legs through 36 cities and across the Golden Gate Bridge at midnight. For Team Dean who runs The Relay minus the baton, "California's Longest Party" is no party. Dean has run The Relay solo ten times, improving his time each year: 199 miles (46 hrs., 17 min. in 2002), 226 miles (57 hrs., 53 min. in 2003), 262 miles (equal to 10 marathons, 75 hrs., 59 min. in 2004) and 350 miles (80 hrs., 43 min. in 2005). Team Dean has logged more than 3,000 miles for organ donation during The Relay, the largest event in the world promoting the need for donors. 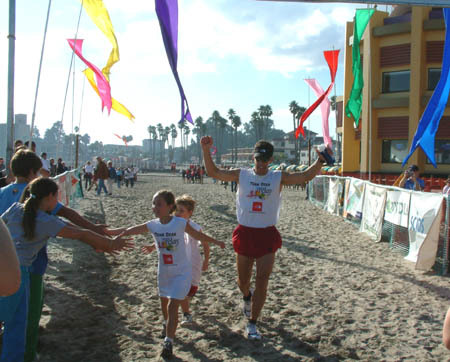 Dean has dedicated solo runs to Elizabeth Wood (2001 liver recipient), David Mehran (2002 liver recipient), Valeria Sanchez (2003 heart recipient) and Katalina Thang (2006 heart/lung recipient). Elizabeth, David and Katalina have cheered Dean across the finish in past Relays. A special guest will cheer Dean at the finish for the first time. 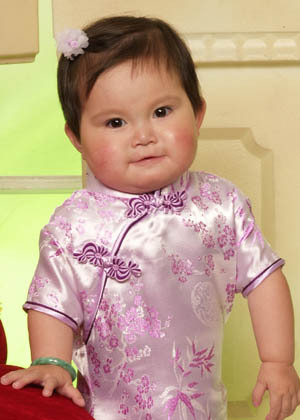 Dean first met three-week- old Valeria Sanchez while she was supported by a breathing machine. 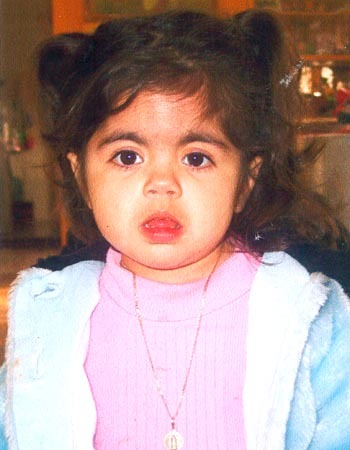 Three weeks after Dean ran 226 miles in The Relay 2003 dedicated to Valeria, she received a new heart from a three-day-old infant. Now five-year-old Valeria wants to meet the man who "saved" her. Dean appeared on The Late Show with David Letterman (March 16, 2005) and 60 Minutes with Leslie Stahl (March 28, 2005) following his 262-mile run in 2004. Featuring Dean and Maria Pia Pedala from Italy, The Relay 2004 was covered by four television stations, including RAI from Italy, and 18 publications including USA Today, People Magazine and Readers Digest. Dean is a member of The North Face Athlete Team and a motivational speaker. 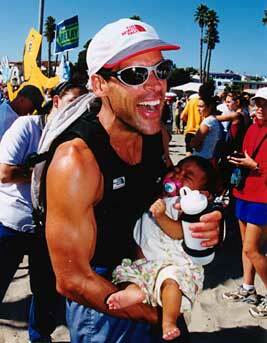 His book, "Ultramarathon Man" became a best seller in June 2005. Organs 'R' Us was founded in San Francisco in 1996 and supports 100,000 Americans waiting for organs by generating $25 million in publicity promoting the need for donors through athletics. Through running and walking, ORU members showcase their fitness proving that transplantation restores health. "In the long run, organ donation saves lives," says ORU coach Jeff Shapiro. Visit Registered Teams to find participating teams. Visit Maps to view the course. © 2008 THE RELAY. ALL RIGHTS RESERVED.